Henry T. Sloane was a young and wealthy executive in the family carpeting firm, W. & J. Sloane, when he met Brooklyn debutante Jessie A. Robbins. Jessie, whom The New York Times later recalled was "ambitious," became Mrs. Henry T. Sloane in 1882. Sloane's firm not only provided carpeting to the mansions of New York's millionaires, but went on to carpet the entire Waldorf-Astoria hotel where the Empire State Building now stands. In 1896 Sloane would provide the carpeting for the coronation of Tsar Nicholas II. The Times related that Jessie "...with the wealth that she commanded when she became Mrs. Sloane soon won a prominent place in exclusive circles. She entertained largely, both here and in Newport." Society women noticed. The Times said "She threw herself into the life of this set with an earnestness and enthusiasm which caused much remark." New York society, Jessie would find, often made "much remark." In 1894, both to reflect his wealth and to provide a venue for his wife's entertainments, Sloane commissioned architects Carrere & Hastings, to design a lavish townhouse at 9 East 72nd Street. 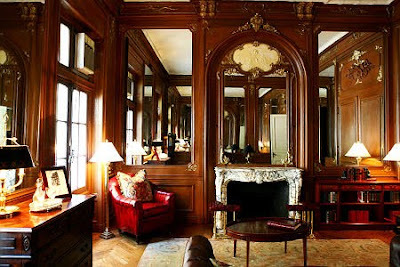 The house was completed in 1896 and Jessie threw a ball for 200 of New York's most elite in January 1897. That night many eyebrows were raised and whispers passed from one pearl-laden socialite to another when Mr. Sloane failed to make an appearance. 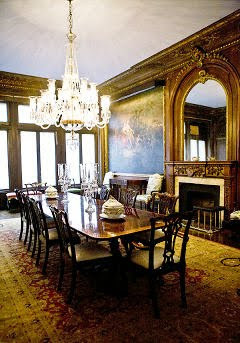 Trouble, it seemed, had moved in to 9 East 72nd Street with the Sloanes. Then as the winter social season was about to start in 1898, Jessie Sloane announced that she would not be entertaining. In Fifth Avenue parlors rumors flew. And sure enough, on December 22 The New York Times reported "The gossip of New York society during the last few days concerning the supposed differences of Mr. and Mrs. Henry Sloane was brought to a climax yesterday by the report that they had decided to separate." The day before, Sloane had transferred the 72nd Street house to his wife. "Then," said The Times, "because of their prominence in society, the gossip started and surmises were rife on every side." In fact, Sloane had been living in a hotel on upper Fifth Avenue for some time. Social gossipers were exasperated by tight-lipped friends of the Sloane family who "absolutely declined to discuss the matter." Speculation became fact and the topic for conversation over tea when on April 28, 1899 the Sloanes were divorced at 3:59 pm. Jessie had been carrying on an affair with Perry Belmont of the fabulously wealthy August Belmont family. Included in the divorce agreement was the stipulation by the embittered Henry Sloane that Jessie could not marry in the state of New York as long as Sloane was alive. The couple would not be stopped. At 6:30 that evening Belmont boarded a train for Greenwich, Connecticut. Half an hour later Jessie and her maid followed. By 10:00, six hours after the divorce, they were back in New York as Mr. and Mrs. Perry Belmont. 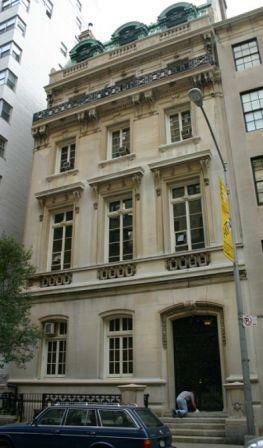 Although Jessie returned the 72nd Street house to Sloane, he never went back. Instead he had mansion designer C. P. H. Gilbert build a graceful Beaux Arts home at 18 East 68th Street for himself and his two daughters which was completed in 1905. By the terms of the divorce agreement, Jessie could never see her daughters until their 21st birthdays. If she saw them on the street, she was barred from speaking to them. She was disallowed to write a note to them. The 36 foot-wide 30 room limestone mansion Sloane and his daughters moved into boasted 17 baths, three terraces, 17-foot ceilings and 11 fireplaces. While the house had an enormous ballroom, it was doubtlessly rarely used. Sloane, according to The Times, "...has never seemed to care for gayety, and it has been generally understood that he was devoted to his business and was essentially domestic in his tastes." In 1941 an art dealer bought the Sloane mansion for $180,000. About 7 years later it was sold again and divided into nine apartments. After changing hands a few more times, it was purchased in 2007 for $39 million and restored to a private home. By May of 2011 the owners had defaulted in over $28 million in loans and Henry Sloane's mansion sold at a foreclosure auction a month later. The sole bidder, Ukranian-born businessman Alexander Rovt, paid around $40 million. Rovt, head of the fertilizer company IBE Trade Corporation, purchased the property with plans to reconvert it to a single family home for his family. Much of the interior detailing remains -- the French paneling, the scenic hand-painted walls, the parquet floors, and the marble staircase and oil painted murals in the ballroom. Today Gilbert's limestone facade looks as it did in 1905 when the indignant and wronged Henry Sloane moved in. Well done Tom, when can I move in?